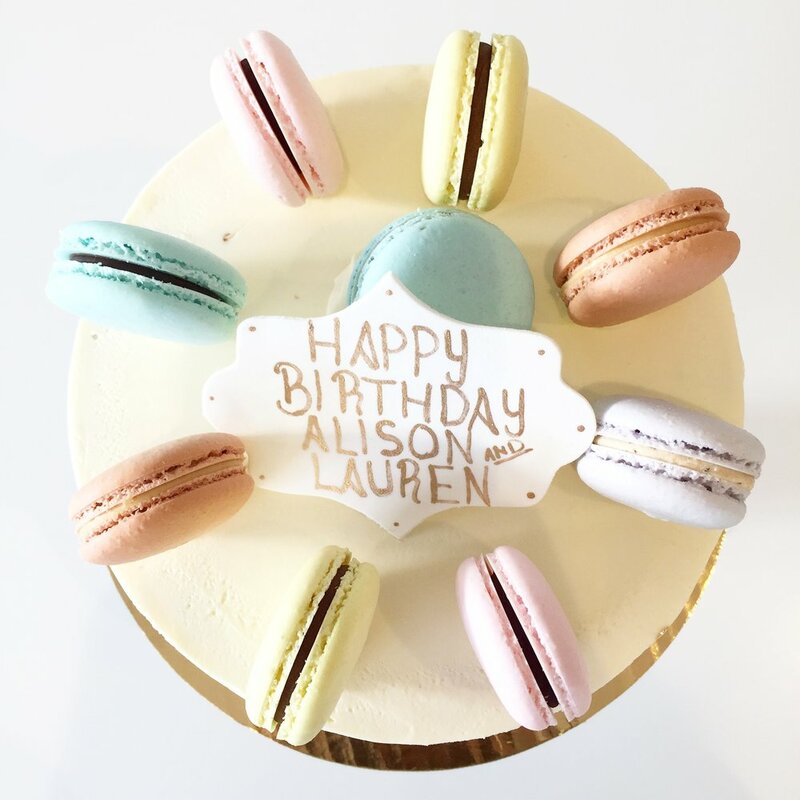 Handmade from scratch, our cakes are created by layering 3 moist and tender layers of cake with 2 layers of Swiss Meringue Buttercream, all accented by the deliciously sweet and flavourful additions between the layers. 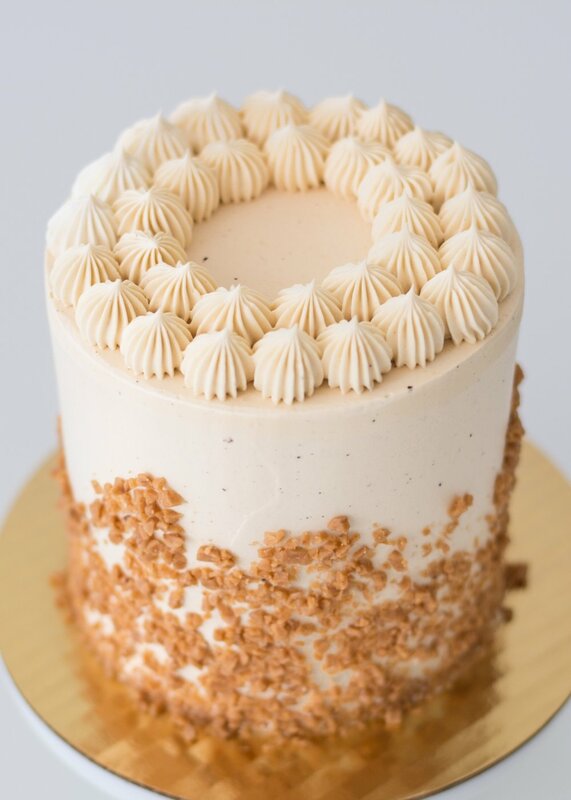 Decorated in our signature bake shop style, or customize it further with any of our enhancements, your celebration (or just because!) 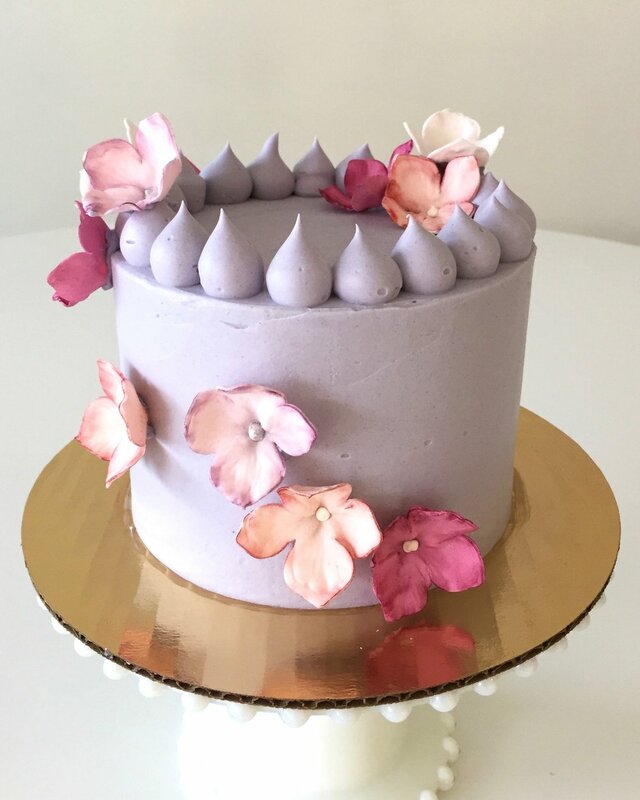 cake will be a beautiful and delicious focal point! 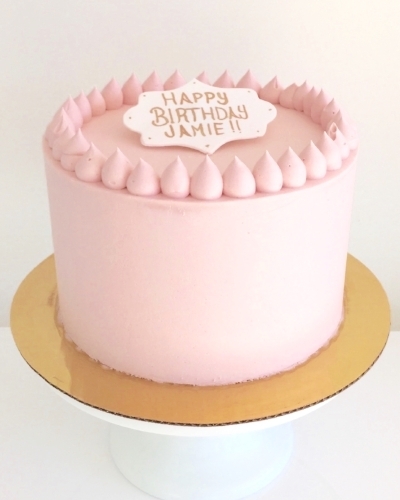 Want to customize your cakes further? No problem! Check out the available customizations below. 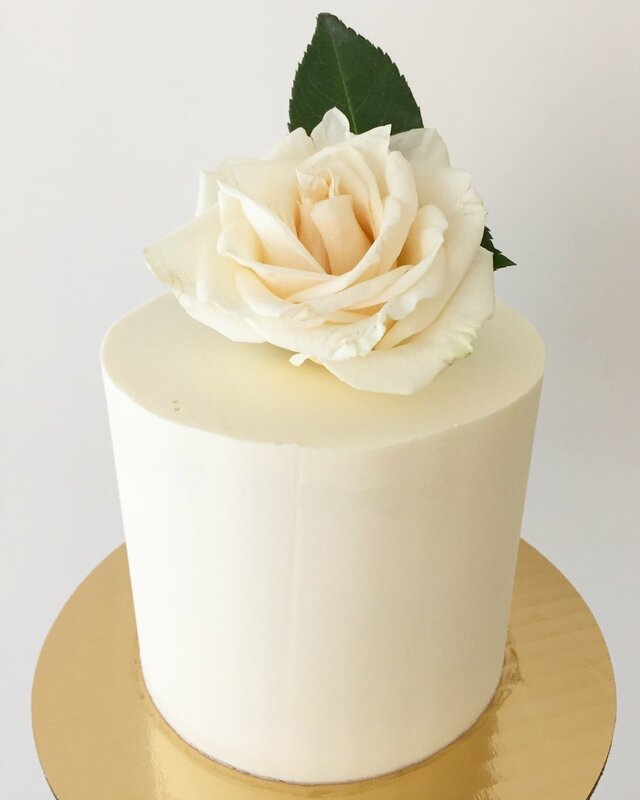 All of our signature cakes are made with quality ingredients in your favourite classic flavours! 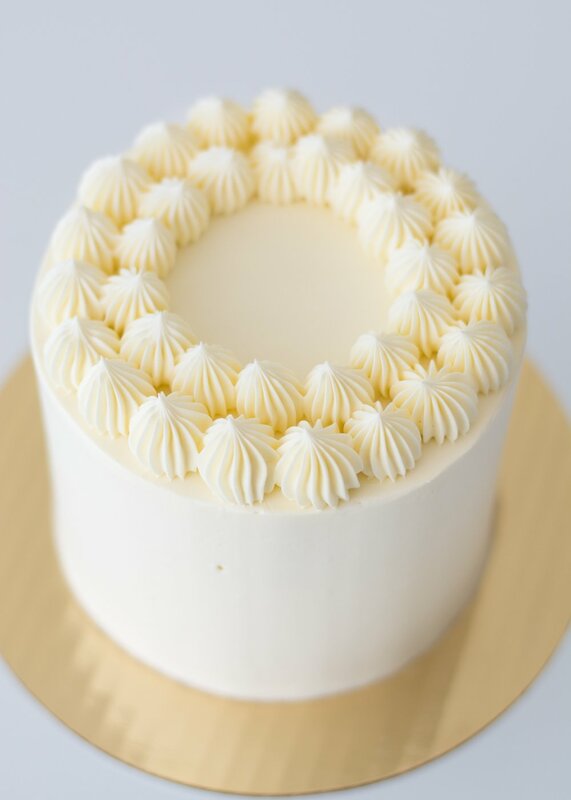 Moist vanilla bean cake layered with smooth and creamy, aromatic vanilla bean buttercream. 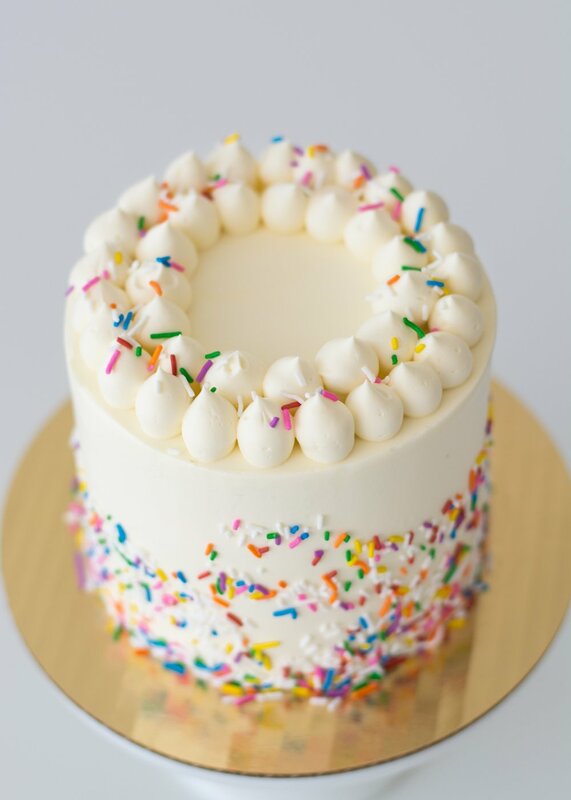 Moist vanilla sprinkle cake layered with sweet and fun vanilla sprinkle frosting. 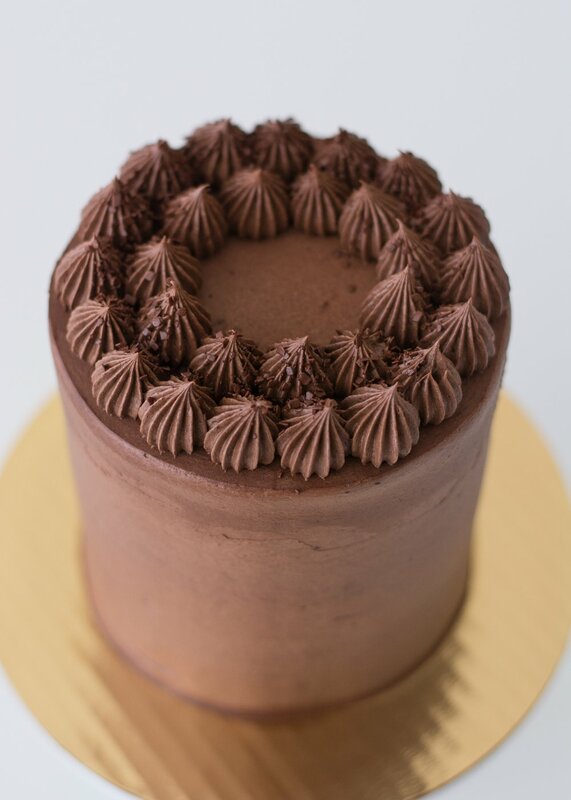 Rich chocolate cake layered with decadent chocolate fudge frosting. 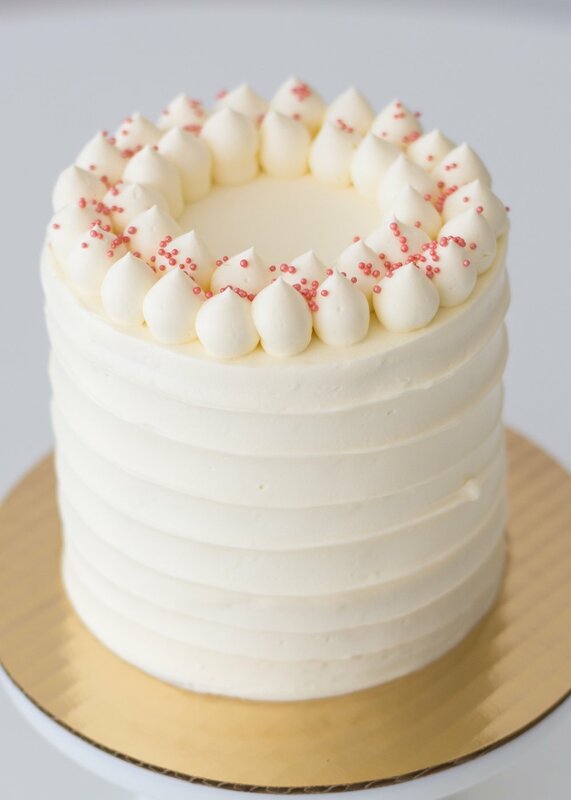 Classic southern red velvet cake layered with smooth and creamy cream cheese buttercream. Aromatic lemon cake layered with tart lemon curd, fresh raspberry buttercream and fresh raspberries. 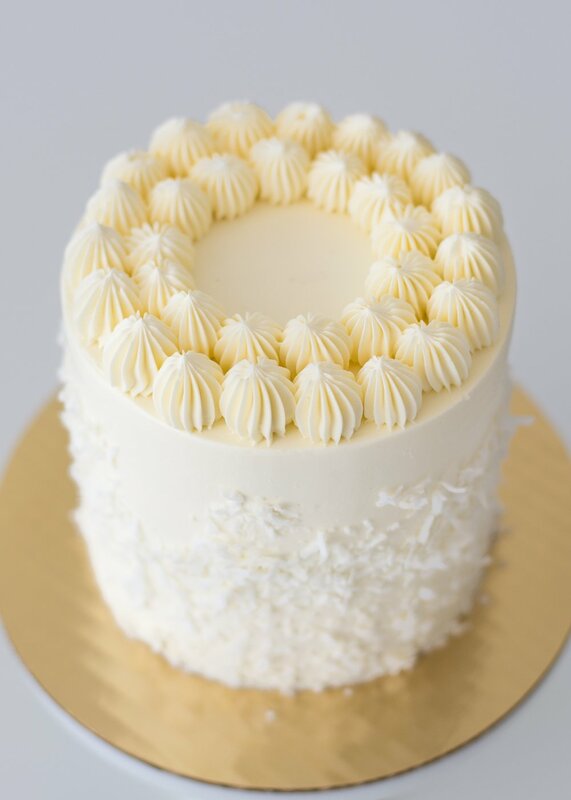 Moist coconut cake layered with smooth and creamy coconut buttercream. 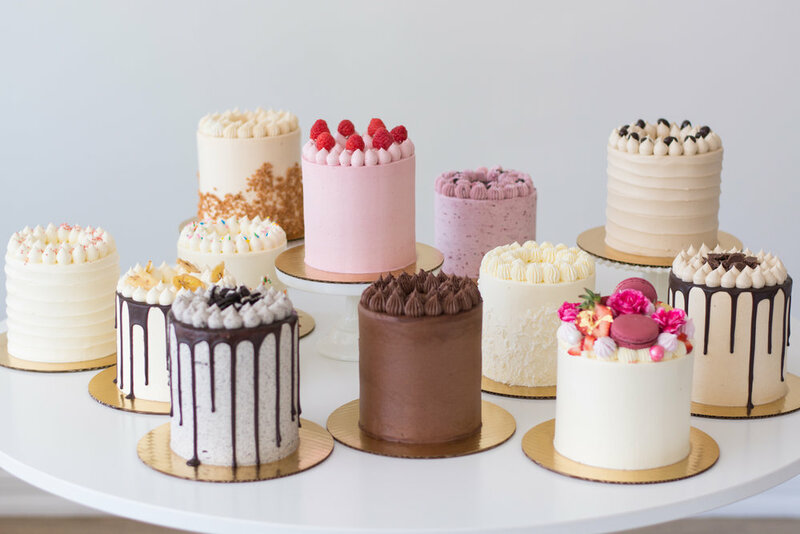 Our premium cakes are made with quality ingredients in fun and unique flavour combinations! 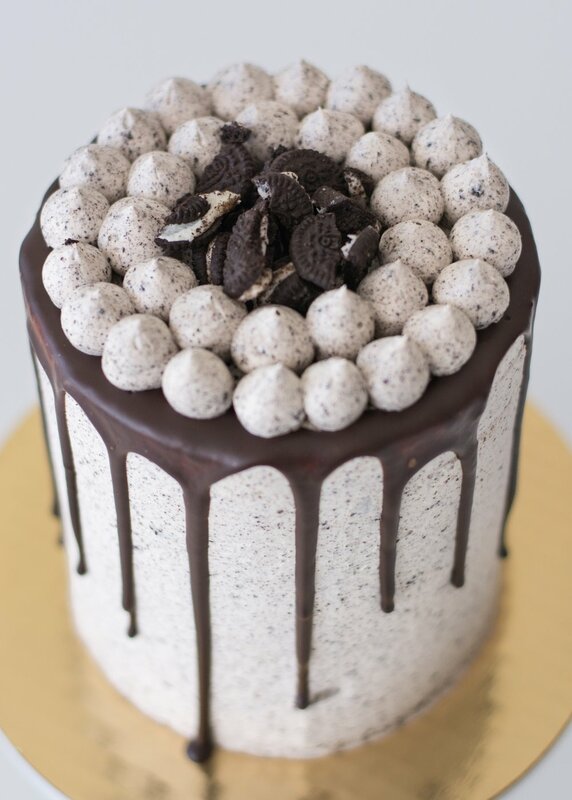 Rich chocolate cake layered with cookies n' cream buttercream and Oreo pieces. 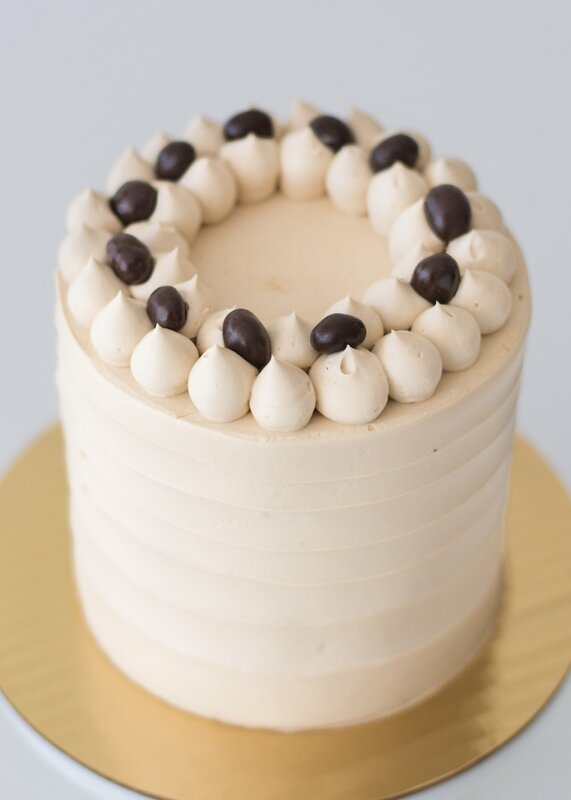 Moist vanilla bean cake layered with smooth and creamy coffee buttercream and chocolate covered espresso beans. 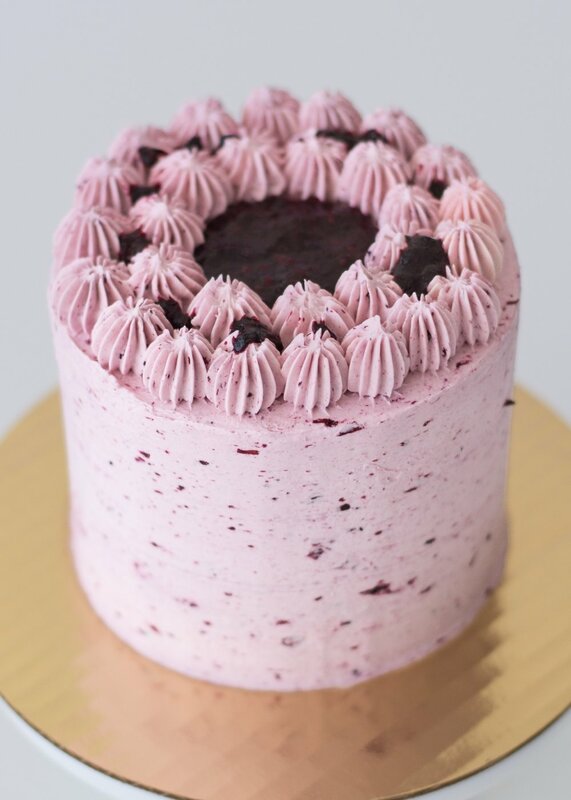 Moist and rich almond cake layered with fresh mixed berry buttercream and mixed berry compote. 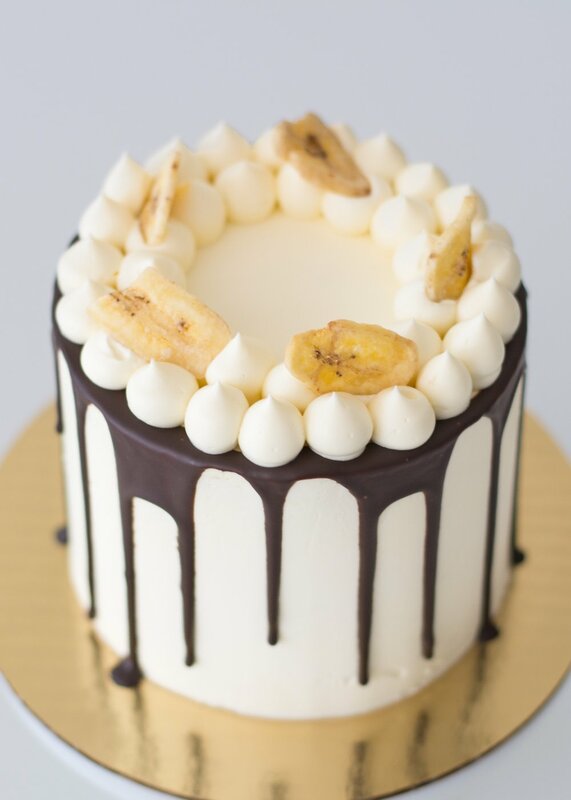 Classic banana chocolate chip cake layered with smooth and creamy cream cheese buttercream. 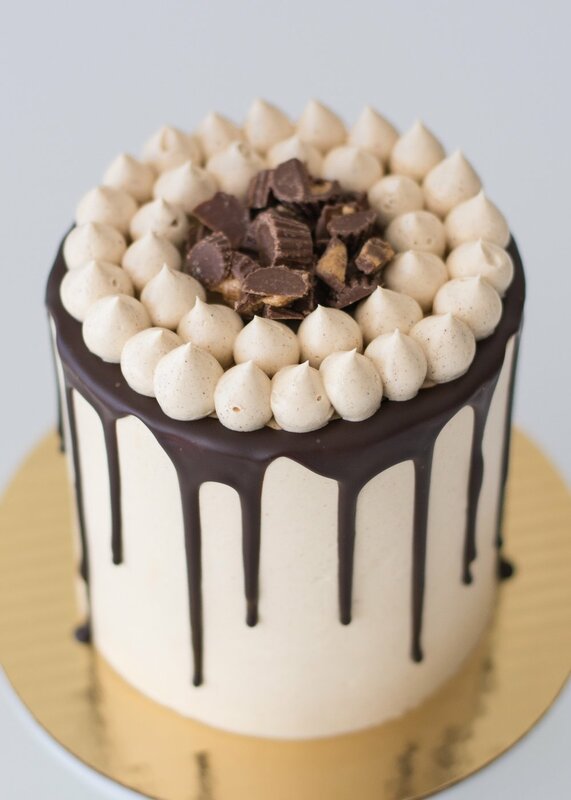 Rich chocolate cake layered with smooth and creamy salted caramel buttercream, sweet and salty caramel sauce and toffee bits. 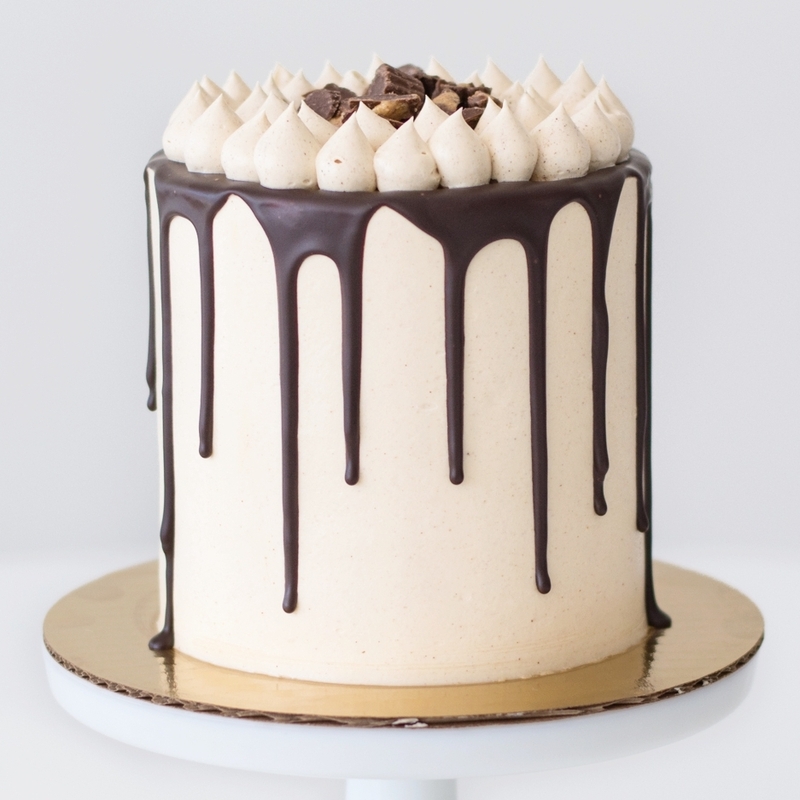 Rich chocolate cake layered with sweet and decadent peanut butter frosting and peanut butter cups. 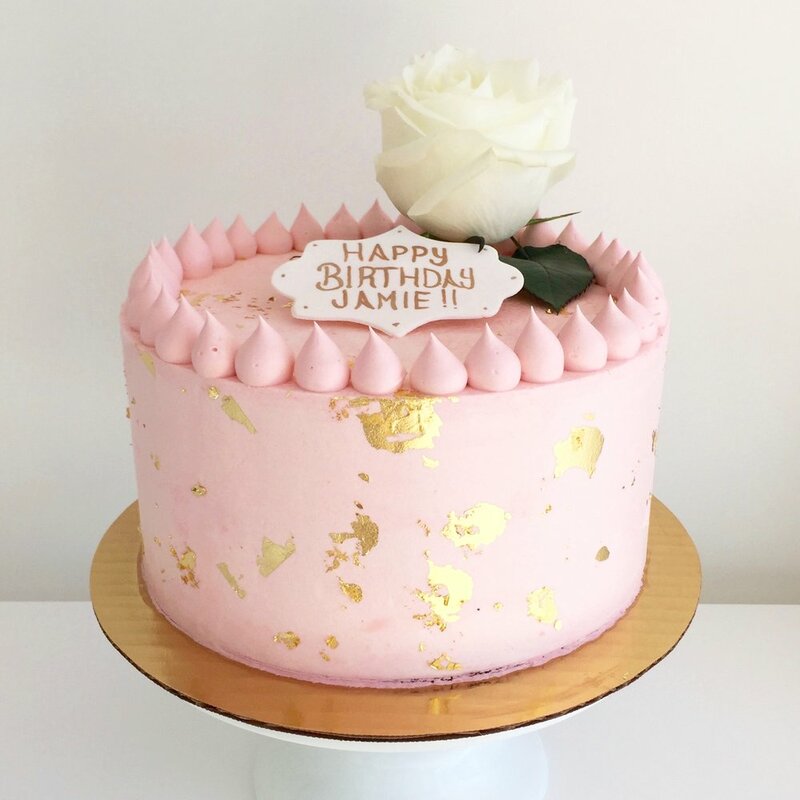 Our decorative finishes are the perfect way to customize your celebration cake! Please note, the enhancement prices are in addition to the price of your cake. 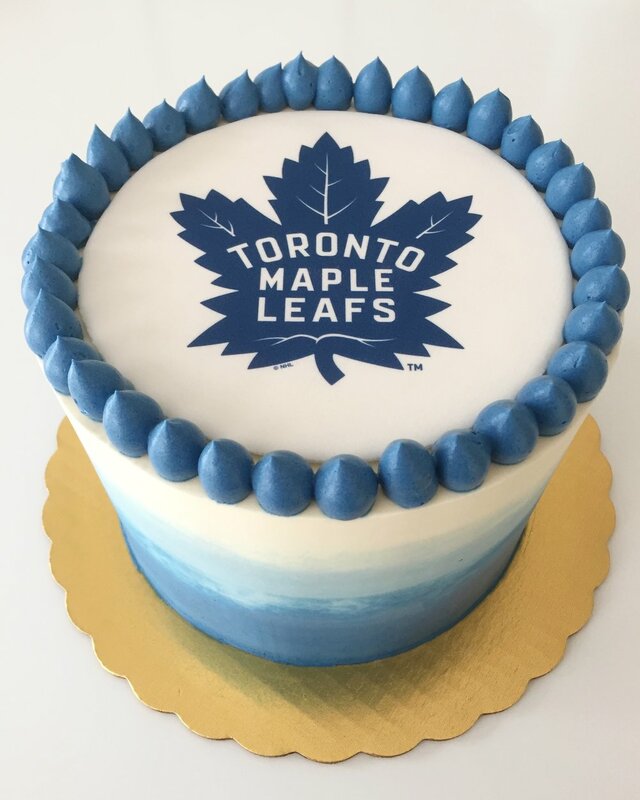 Pair your Collection Cake with a matching Cookie Cake for your next celebration! 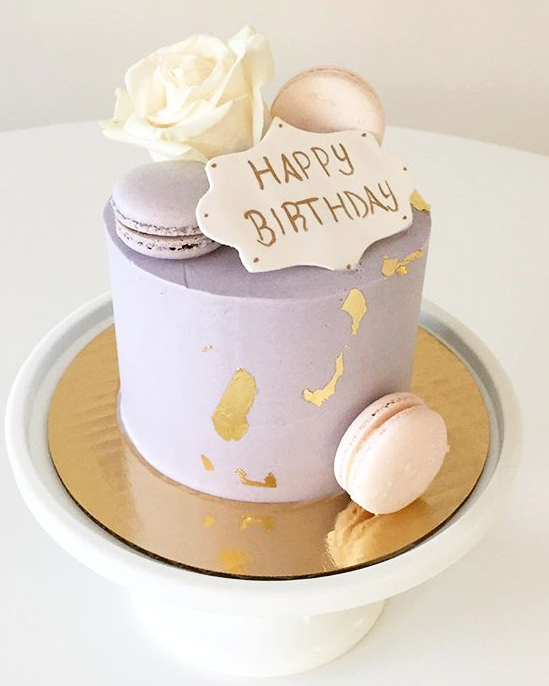 A beautiful way to enhance any of our bake shop cakes with a collection of macarons, meringues, fresh fruit and fresh flowers in a colour palette of your choice.